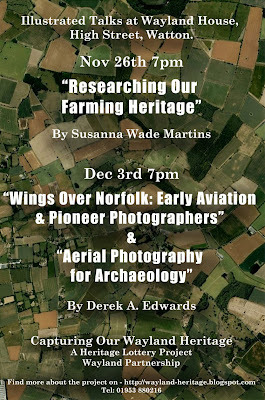 The 'Capturing Our Wayland heritage' project is holding the first of four drop-in afternoons, before Christmas, today from 2-4pm. The other three afternoons are on 25th Nov, 2nd and 9th Dec. Pop-in to discover more about the project and pick up some tips on how to make the most of your digital camera to record your locality, or search the internet for information on your local heritage. If you have a topic you would like to research or a local story to tell which you would like to pass on to future generations we would be happy to help. The Saham Toney Heritage Group are holding the fair at the Wells Cole Community Centre, Saham Toney on Sat Nov 14th, 10am-4pm. There will live demonstrations, a display of regional artifacts, local crafts, film show and refreshments. 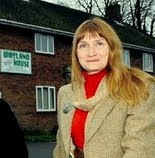 The 'Capturing Our Wayland Heritage' project Heritage officer will be there with a display. The Ashill Archive Group have produced a A4 calendar with 12 photographs from their extensive village archive, which date from around 1900 to 2008. Proceeds from the £5 sale price of the calendars will support the work of Ashill Village Aid and the Archive Group. If you would like to purchase one, you can either pop into the Drop-in Centre next to the pond on the village green from 10 -12am on Mondays, when the Archive Group Meet each week, or contact Enid Turner on 01760 440419. 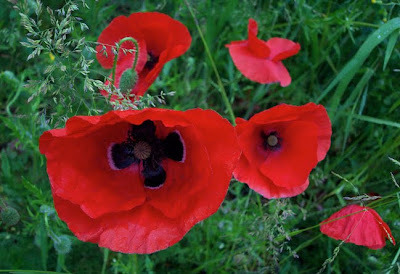 The British Remembrance Day is always held on the 11 November. This is the day that World War One ended in 1918, when the armistice was signed in Compiègne, Northern France, at 5am. Six hours later at 11am the fighting stopped. The period of silence was first proposed by a Melbourne journalist, Edward George Honey, in a letter published in the London Evening News on 8 May 1919, which subsequently came to the attention of King George V. On 7 November, 1919, the king issued a proclamation which called for a two-minute silence on the 11th hour of the 11th day on the 11th Month. The nearest Sunday to the 11th is called Remembrance Sunday. The photograph above on the left shows an original wooden Flanders cross of 1915 for Lieut. 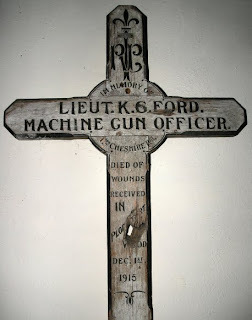 K. G. Ford, which hangs in the church at Ashill. Out of all Norfolk's 700-odd parishes, only one got back all the boys it sent to the War - Ovington, near Watton. In every other parish, memorials remain to remember the dead.